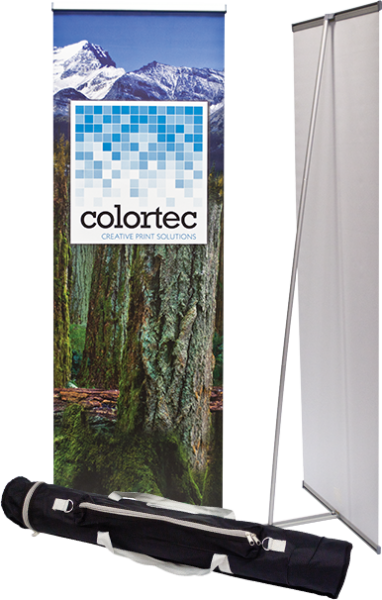 Banner stands are a fantastic way to give you the visibility you need to capture or engage your customers. 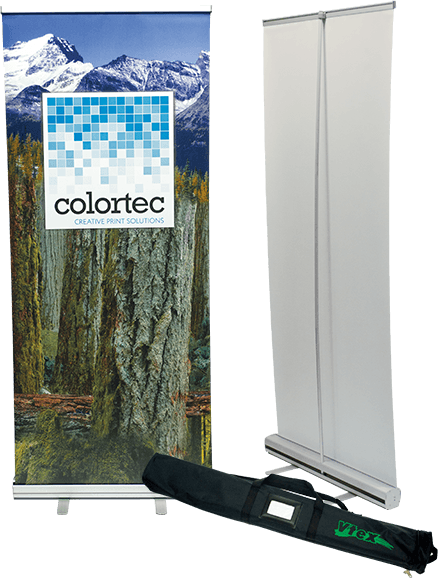 Make an impact at your presentation or trade show with Colortec’s banner stands. 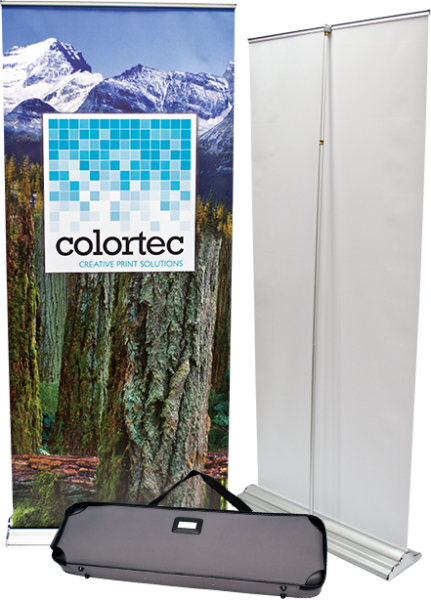 They are available as non-retractable or retractable and they include a durable carrying case. Let us help you find the right solution for your business, contact us today for more information.